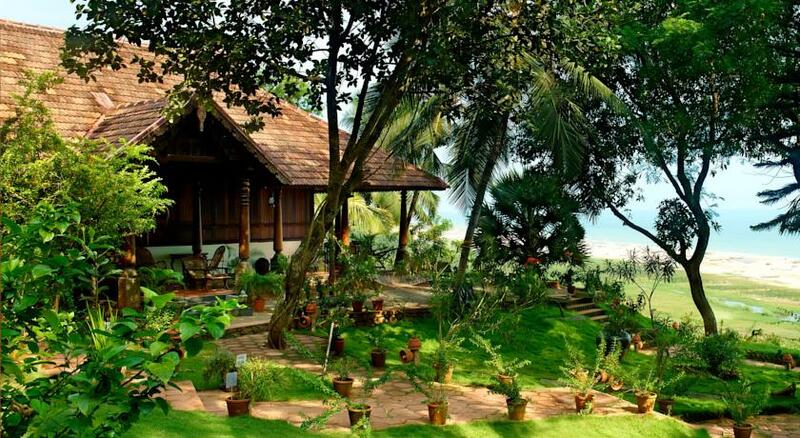 Located in Kovalam, Somatheeram Aurveda Resort is world’s first exclusive Ayurveda resort that is situated by the sea in South India. 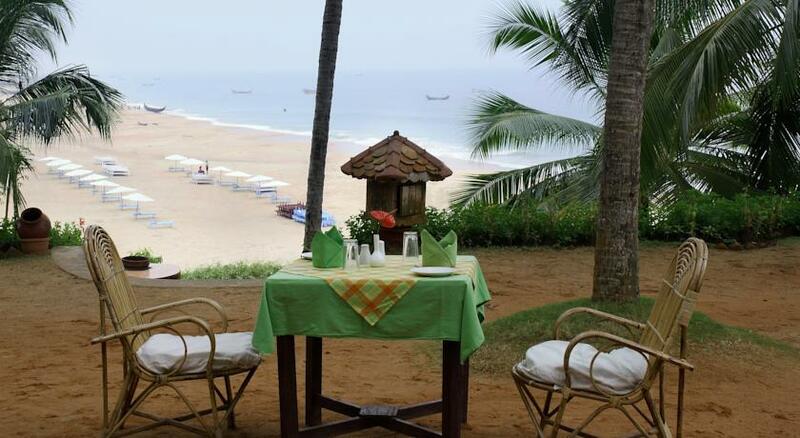 Covering 15 acres of land, the resort is one of the most popular spots in Kerala, which is built on a hillock at the Chowara beach that is at a distance of 9kms from the main Kovalam beach. Ayurveda treatment has been popular in India for more than 20 years now and it is believed that the treatment was passed on to humans by the Gods. 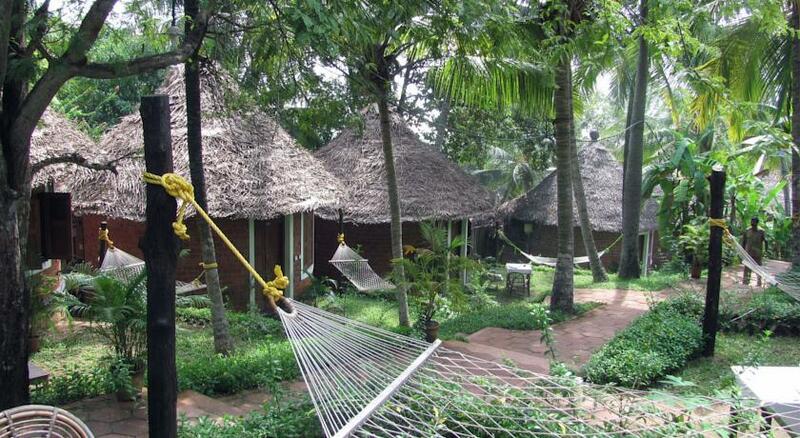 The resort provides a fulfilling experience in terms of culture, history, services, Ayurveda, Yoga, beach and the nature. 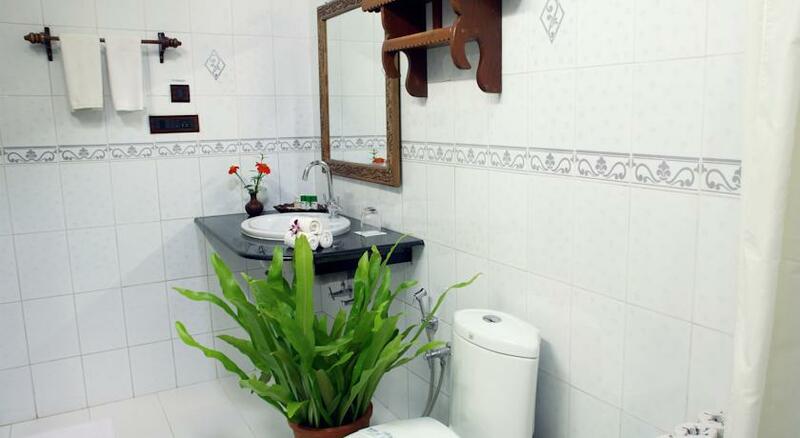 The hotel offers a number of facilities ranging from cultural nights with various performances, indoor as well as outdoor games, boating, elephant rides, and Mehandi designs for guests, 24 hour room service, internet facility, travel assistance, gift shop, safety lockers, daily housekeeping and much more. 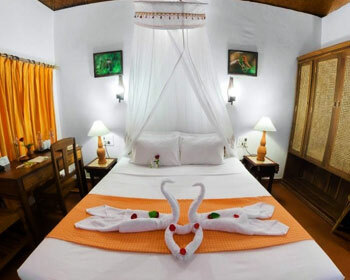 Guests can also visit the famous tourist spots that include the Kovalam beach (9kms), Thiruvallam backwaters, Pamanabhaswamy temple (19kms), Kanakakkunnu palce (12kms), Napier museum (13kms), Thiruvananthapuram zoo, Kerala science and technology museum, Akullam tourist village, Neyyar wildlife sanctuary (30kms), Astamudi Lake, Alumkadavu (23kms), Varkala beach (53kms), Ponmudi (56kms), Shangumukham beach, shopping tours and much more. 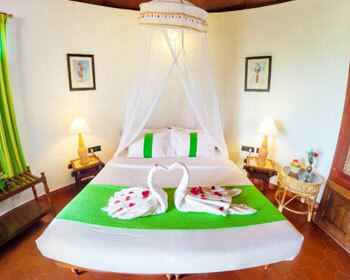 The resort offers standard rooms that are well ventilated and offer complete relaxation at a moderate price and can accommodate a single as well as a double traveler. 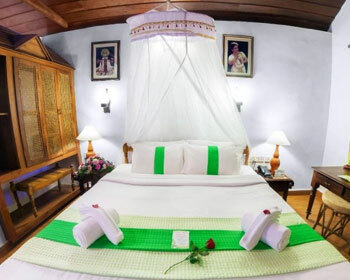 The room offers a large double bed, attached bathroom with running hot/cold water, a wardrobe for extra storage space, a ceiling fan, dressing table, mosquito nets, room that overlooks the sea, plenty of natural light and air, a separate working desk, 24 hour room service, chargeable internet facility, complimentary mineral drinking water, and daily housekeeping services. 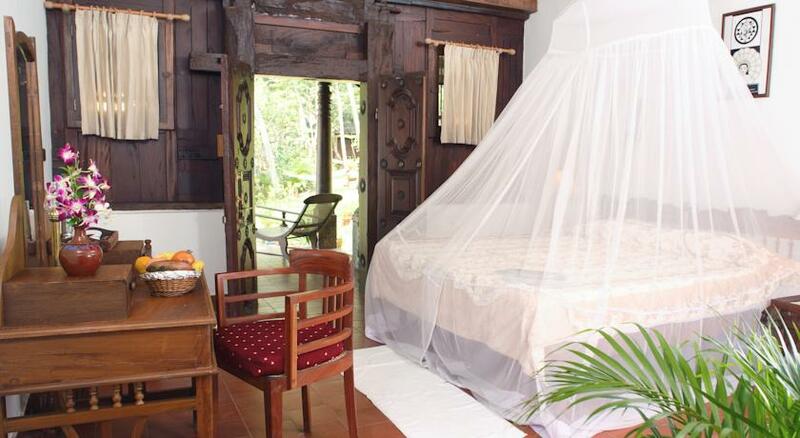 The resort offers independent garden cottages that overlook the enchanting lush green gardens of the resort, which is built with mud and other natural materials and can be accommodated to either a single or a travelers coming in groups of two. The cottage offers a large double bed or twin beds are available on request, attached bathroom with running hot/cold water, a wardrobe for extra storage space, a ceiling fan, dressing table, mosquito nets, plenty of natural light and air, a separate working desk, 24 hour room service, chargeable internet facility, complimentary mineral drinking water, daily housekeeping, and a private sit out area. 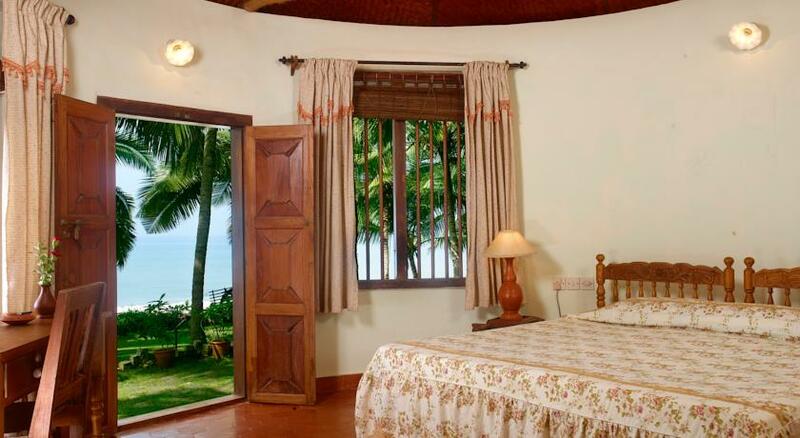 The resort offers independent round cottages that are built with thatched roofs and fully/partially overlook the sea and can be accommodated to either a single or a travelers coming in groups of two. The cottage offers a large double bed or twin beds are available on request, attached bathroom with running hot/cold water, fully air conditioned within room temperature control, a wardrobe for extra storage space, a ceiling fan, dressing table, mosquito nets, plenty of natural light and air, a separate working desk, 24 hour room service, chargeable internet facility, complimentary mineral drinking water, daily housekeeping, and a private sit out area. 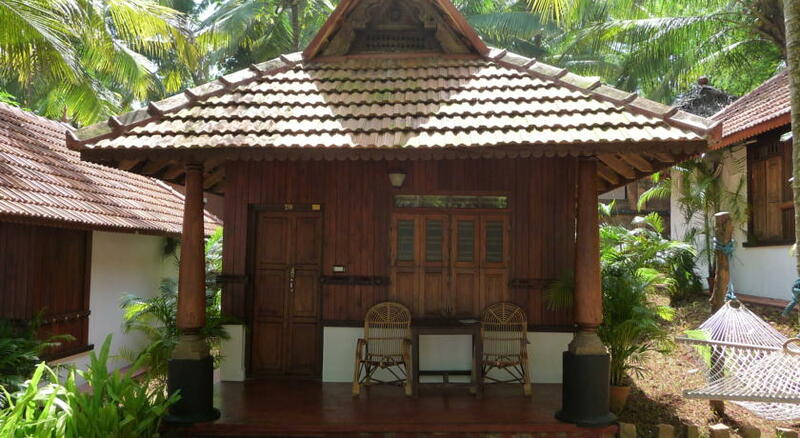 The resort offers independent Kerala house standard houses that are built with traditional wood, antique doors & furniture. 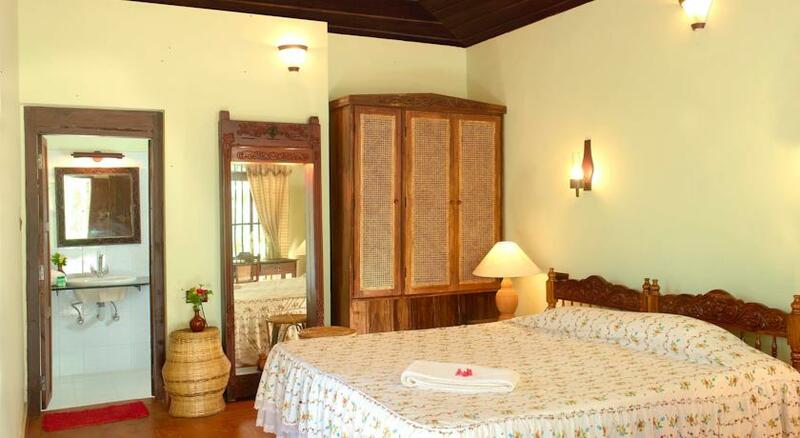 The villas can be accommodated to either a single or a travelers coming on groups of two. 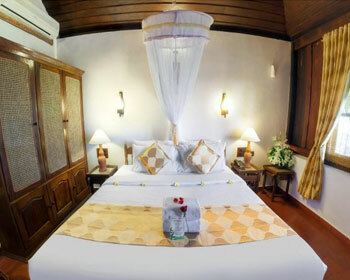 The villas bedroom offers a large king sized bed, attached bathroom with running hot/cold water, a wardrobe for extra storage space, a ceiling fan, dressing table, mosquito nets, plenty of natural light and air, a separate working desk, 24 hour room service, chargeable internet facility, complimentary mineral drinking water, daily housekeeping, and private sit out verandah that overlooks the beautiful gardens of the resort. 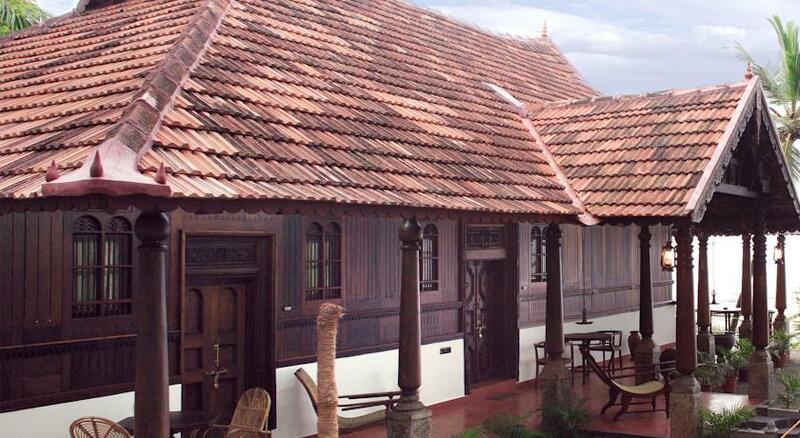 The resort offers independent Kerala house deluxe that are built with traditional wood, antique doors & furniture. 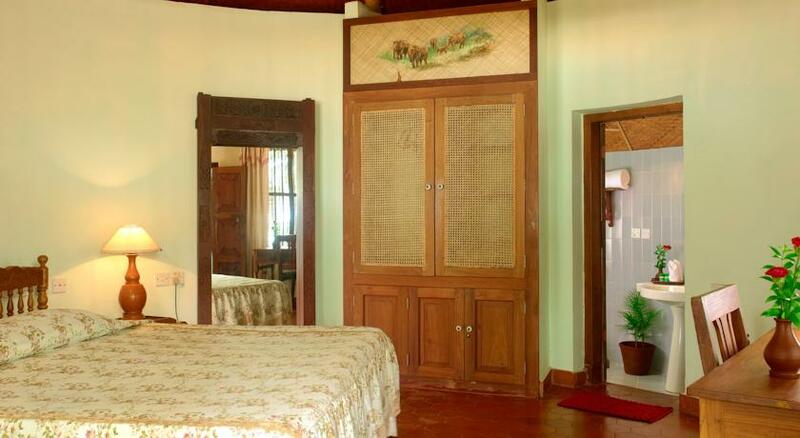 The house offers one suite room and two deluxe rooms that can be rented separately. The house bedrooms offer a large king sized bed, attached bathroom with running hot/cold water, a wardrobe for extra storage space, a ceiling fan, dressing table, mosquito nets, plenty of natural light and air, fully air conditioned within room temperature control, a separate working desk, 24 hour room service, chargeable internet facility, complimentary mineral drinking water, daily housekeeping, and private sit out verandah that overlooks mesmerizing view of the sea face. 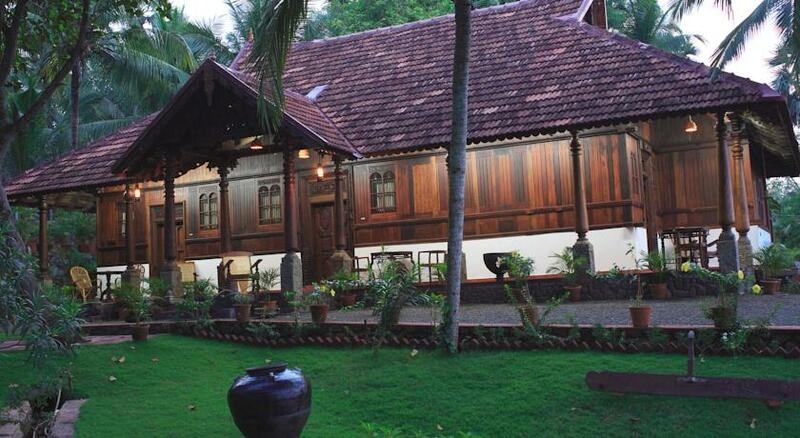 The resort offers independent Kerala deluxe suites that are built with traditional wood, antique doors & furniture. 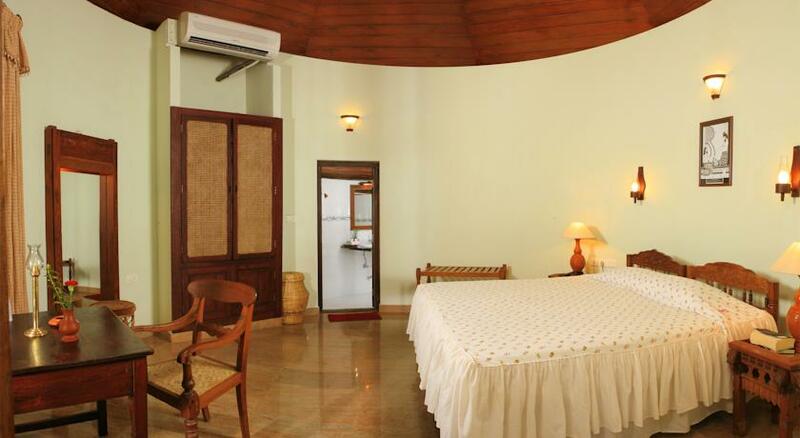 The suite offers a master bedroom, two other deluxe rooms that can be rented separately, a living room. The suite bedrooms offer a large king sized bed, attached bathroom with running hot/cold water, a wardrobe for extra storage space, a ceiling fan, dressing table, mosquito nets, plenty of natural light and air, fully air conditioned within room temperature control, a separate working desk, 24 hour room service, chargeable internet facility, complimentary mineral drinking water, daily housekeeping, and private sit out verandah that overlooks mesmerizing view of the sea face. The in house restaurant offers about 250 dishes of Ayurvedic vegetarian food as well as a multi cuisine menu for non vegetarian lovers. The restaurant offers live cooking kitchen where they often showcase the mystery of their special delicacies and make the whole dining experience a memorable one. The menu also includes a vast variety of salads and juices as well. The vegetarian dishes would have spices, coconut and coconut oil in abundance. Admire the amazing traditional ambiance. 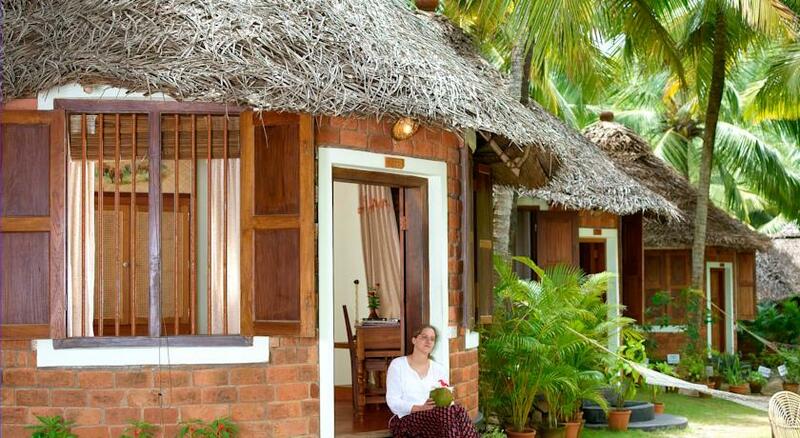 Somatheeram Ayurveda Resort provides a wide range of Ayurveda treatments not just for the purposes of relaxation and rejuvenation, but also for the elimination of various medical conditions like rheumatism, respiratory problems, blood pressure, cholesterol, paralysis etc. Some of the treatments available at the resort are Pizhichil, Nijavarakizhi, Dhara, Dashamoola Ksheera Dhara, Sarvanga Kashaya Dhara, Vasthi, Sirovasthi, Udvarthanam, Abhyangam, Nasyam, Snehapanam, Kizhi, Dhanyamla Dhara, Yoni Prakshalanam, Kativasthi, Urovasthi, Ksheeradhoomam, Thalam, Lepanam, Marma Massage, Lekhaneeyam, Karnapooranam, Tharpanam, Mukhalepam and Medicated Steam Bath. 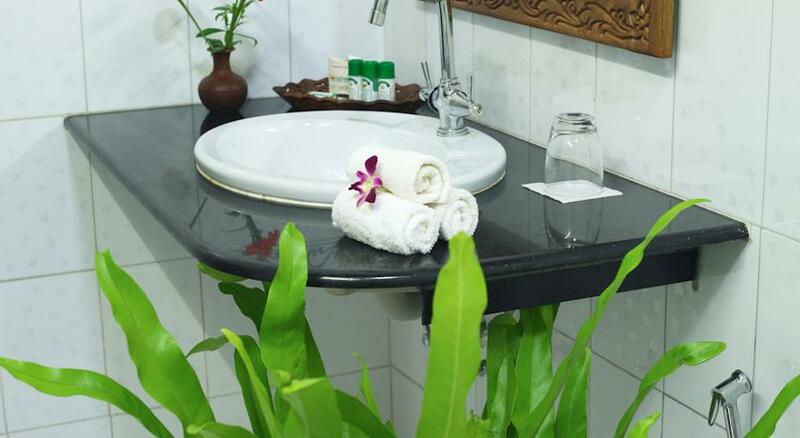 What makes the treatments offered at this wonderful resort completely effective and safe is the complete usage of natural ingredients which do not cause any side effects. 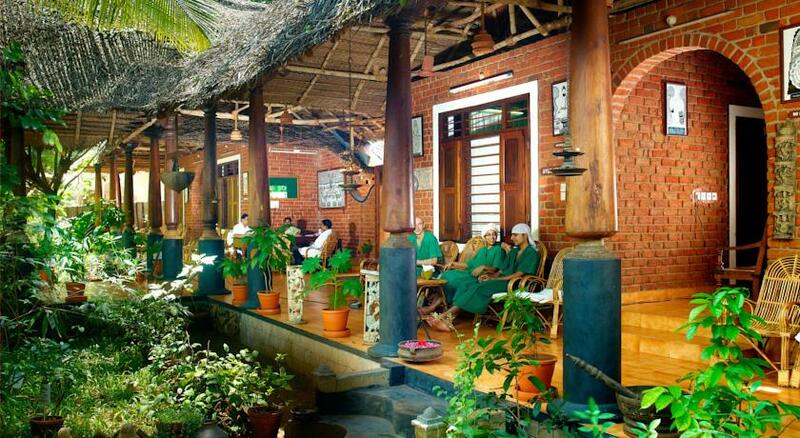 Every package includes accommodation, Ayurveda treatment and full board Ayurvedic vegetarian food. 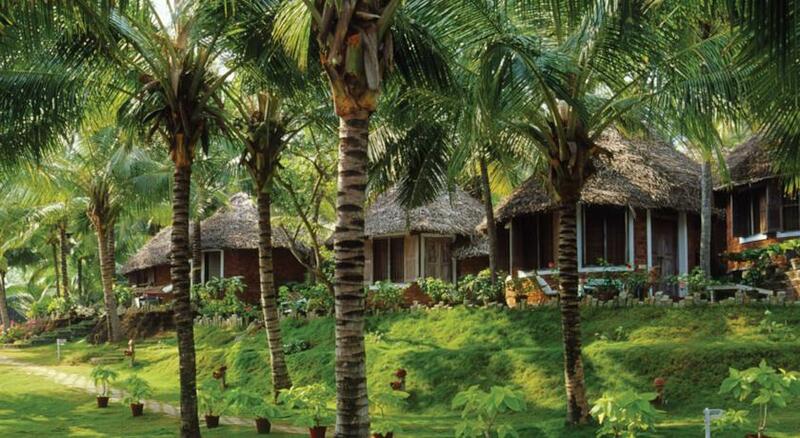 Complimentary services such as daily Yoga classes, boat tours in the backwaters etc., are offered in all packages. 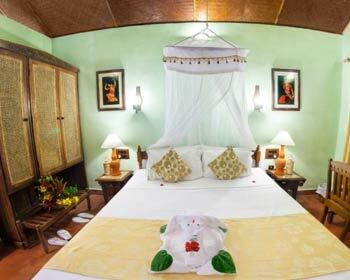 At the Somatheeram Ayurveda Resort, the facilities themselves are major attractions, besides the brilliant Ayurveda treatment experienced by the guests. Every evening at the resort, variety of cultural programs are held which showcase the dance, art, music and culture of Kerala. On the occasion of every major festival, the traditional Kerala feast (sadya) is held. Apart from these, a variety of other programs like indoor games, boating and elephant rides are also organized. 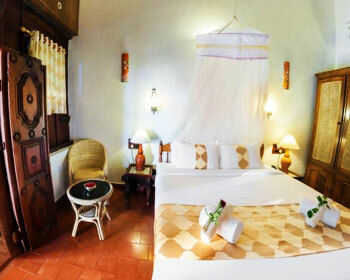 All the rooms come with a 24hr room service and are equipped with other facilities including Internet facilities, telephone and fax, mail and message and tour and travel assistance. 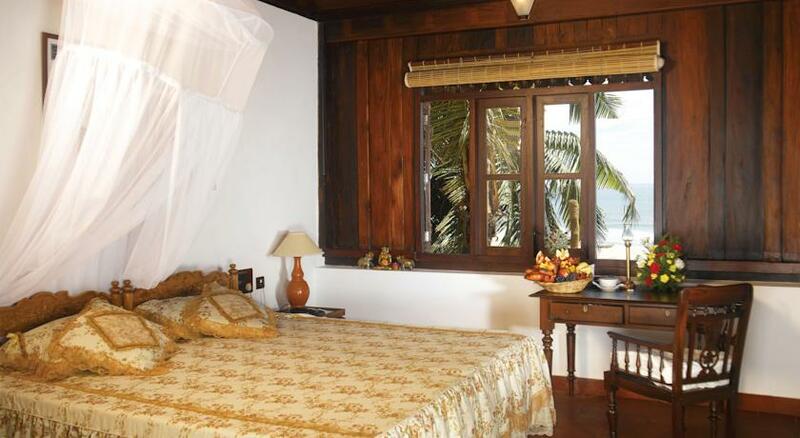 The resort, located next to the beach, also offers the guests the opportunity of spending a day at the beach. 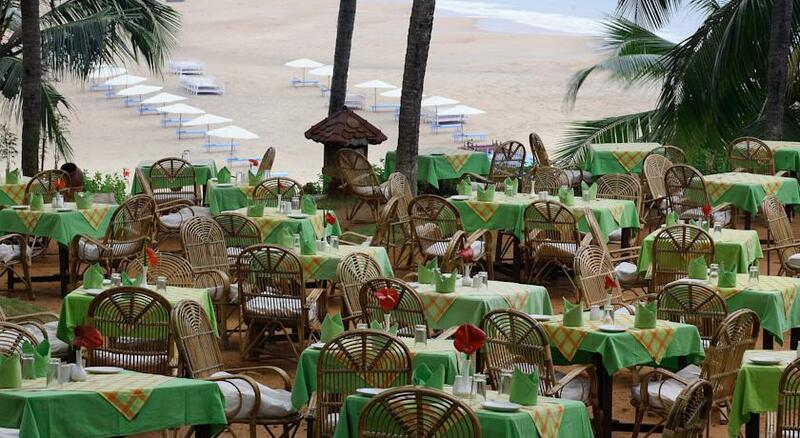 Towards this end, the resort provides facilities such as beach umbrellas and beach towels. Besides, a gift shop at the resort allows the guests to purchase souvenirs and trinkets. Other than these, tours to nearby areas, include shopping areas, are also organized. Focused on rejuvenation, the treatment includes body massage with medicated oil and cream, herbal medicines and steam bath. This therapy is for 90 minutes to 2 hours per day for the duration of your treatment. Rejuvenate the mind, body and soul, as the treatments also strengthen all systems to help you achieve ideal health and longevity. Sedentary lifestyle of today's era pumps you up with toxins which are onset of ailments and diseases. The body purifying process aims to attain proper balance of Vatha, Pitha and Kapha based on the Panchakarma and Swethakarma Treatment. Therapies include Body massage, snehapanam, nasyam, virachanam (medicated purgative), snehavasthi, dhara, pizhichil, njavarakizhi, karnapooranam, tharpanam, sirovasthi, steam bath, and internal herbal medicines. 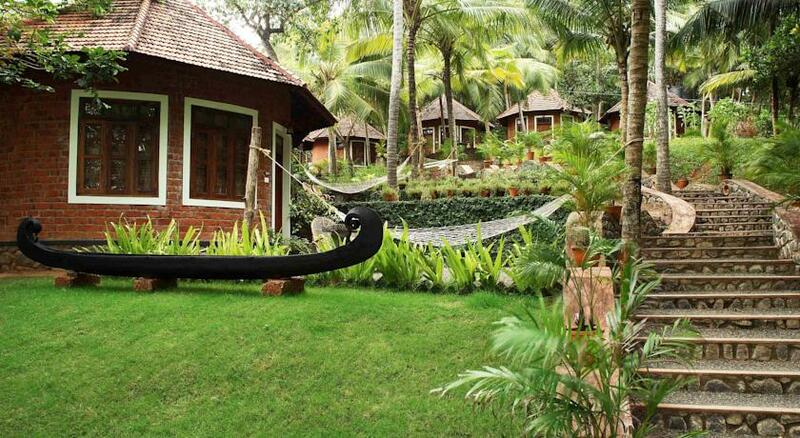 Somatheeram resort has a special slimming programme that achieves results. Medicated herbal powder massage, herbal oil massage, adherence to the specific diet, medicated steam bath, intake of herbal juices, herbal tea etc. are essential parts of the programme. Stress and tension are some ailments of the modern day; for which Somatheeram has the cure. The stress management programme combines Yoga, meditation and Ayurveda. Programs in this treatment include rejuvenation massage, rejuvenation therapy, dhara, njavarkizhi, thalam, herbal steam bath, herbal pack, intake of herbal medicines, etc. Beauty and radiance is not just about looks but one pointer of well-being. Somatheeram's beauty care programme not only focuses of outer body surfaces but also at inner beauty. Yoga, meditation, massage for the proper circulation of vital fluids, herbal face pack, herbal cream massage, massage with special oils, fruit juices, herbal juices, body pack, head pack, steam bath or herbal bath and intake of herbal juices are included. This 14 nights treatment improves the skin complexion, skin tone and muscle tone. Aging is natural but unhealthy aging is major cause for worry. Ayurveda prescribes treatment for repairing the wear and tear of the body due to ageing process. This program deals with proper purification which will increase the vital energy called "ojas".With this treatment ensure prolonged lifespan, youthfulness, good health, vitality and overall wellness. Procedures include body massages with special oils and herbal juices, snehapanam, virechana, ksheeravasthy, snehavasthy thalapothichil, sirodhara, njavaratheppu (massage with rice pudding), naranmgakizhi, karyasekam with medicated oil or decoctions or milk, head massage with special herbal juices, thalam , srubhath, herbal bath, steam bath coupled with customized diet plans.